The Panasonic Lumix GX9 is a brand-new CSC camera that joins the GX8, GX7 and GX80/GX85 in the Panasonic line-up. The new camera builds on what previous models have introduced, offering improved image quality and better ISO performance up to 6400 ISO. You'll be able to get your hands on the new Panasonic Lumix GX9, in black or silver, from 12 March with an RRP of £699. Also announced today and available on 12 March 2017 is the Panasonic Lumix TZ200 premium compact camera - go check it out. The Panasonic Lumix GX9 features a 20.3-megapixel Digital Live MOS Sensor with no low pass filter, features 5-axis dual image stabilisation, uses the Venus image processing engine, and shoots 4K video as well as photos (30fps in 8-megapixel equivalent resolution). Plus, the camera can auto mark images from 4K photo sequences as well as create sequences in one frame, for example, you can capture your pet running through the frame in three places. You can save 4K photos straight from the camera, without having to process the video files on your computer. Lightroom can also be used to select frames from the video. 4K video is useful as it can also be used to create 1080p video, to either crop for a 200% view, digitally stabilised or reframed, amongst other things. In addition, the Lumix GX9 incorporates Light Composition function as a new option of 4K PHOTO mode. The camera combines the images by choosing and saving the brighter pixels. On the back, there's a tilting high-resolution (2760K dot) live electronic viewfinder (EVF), as well as a 3inch vari-angle 1240K dot touchscreen that tilts up to 80-degrees and down to 45-degrees and up front, you'll find a better grip. Dials have been moved around to make them more logically positioned but you can still alter the way the dials operate via the function buttons. The graphical interface has also been simplified so it's easier to read. When it comes to focusing, improvements have been made to the contrast autofocus system with DFD technology becoming available and obstacle avoidance ensures that the camera will continue to focus on your subject rather than what cuts up the frame. Autofocus speeds sit at around 0.07 seconds and the camera achieves 9fps (AFS) and 6fps (AFC) when shooting bursts. A variety of AF functions including Face/Eye Detection AF and the popular Pinpoint AF function are built in and the low light autofocus function should mean you can focus on subjects lit by low light more precisely. Focus and Aperture Bracketing have also been added. With Focus Bracketing, a maximum of 999 images can be shot with different focal distances while Aperture Bracketing allows you to capture multiple shots with different depth of field. Once captured, you can then choose the shot with the best focus level or most fitting depth of field characteristic. Silent mode, which switches the shutter from mechanical to electronic and turns all sound off, is useful for those who capture wildlife regularly, spend time at sporting events or just want to capture shots of their children without the familiar beeps making them stop what they're doing so they can say 'cheese'. There's also a power saving mode which means you can leave your camera on ready but your battery won't be eaten up and Live View Boost can be used to brighten the screen but this does mean that exposure levels may not be accurate anymore. 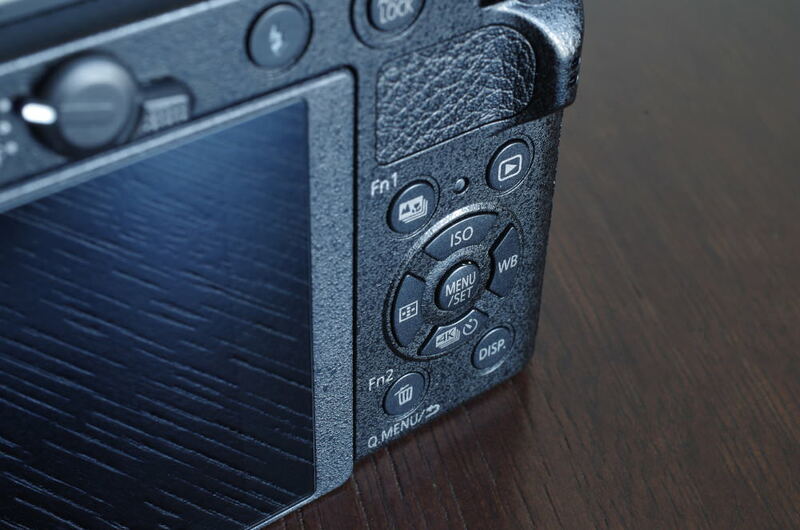 To ensure shots are always sharp, the 5-axis dual image stabilisation is made up of 2-axis lens-based optical image stabilisation and 5-axis sensor-shift image stabilisation. The 5-axis Dual I.S. works in both photo and motion picture recording, including 4K video, and makes it possible to use a 4-stop slower shutter speed. To further reduce motion blur, there's an electromagnetic drive which reduces the risk of shutter shock by approximately 90%. Time lapse shot / stop-motion animation is also available in the Lumix GX9. 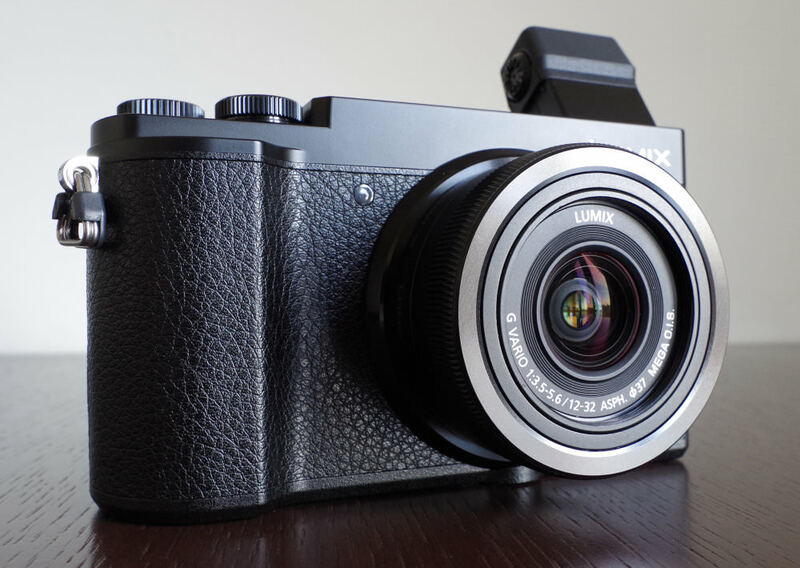 The Panasonic Lumix GX9 looks very similar to the GX7, released way back in 2013, but this isn't a bad thing as the overall design of the GX7, and now GX9, is very smart. In the hand, the camera feels solid and well built with metal dials giving a premium look and feel to the retro-styled mirrorless camera. There's also an additional hand grip and eye cup available to further increase the comfort and grip of the GX9. 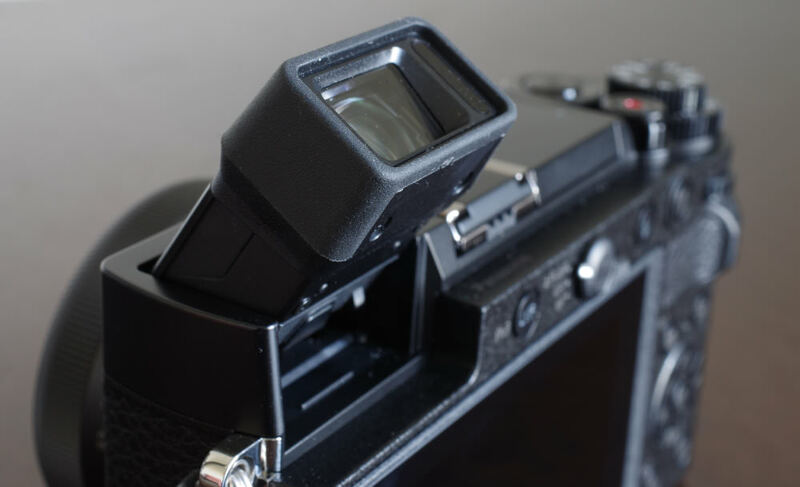 The electronic viewfinder, which boasts 1.39x / 0.7x (35mm camera equiv.) magnification and 100% field of view, has a high resolution and focuses quickly but the dioptre adjustment can be difficult to use and even though the image you see through the EVF is sharp, you can still see aberrations around bright areas. However, the fact that the EVF tilts and adjusts makes it a lot easier to use. The EVF also has an eye detection sensor so that it will automatically switch on and off when held up to the eye. If you do use the EVF, you need to remember to turn the touchscreen off as your nose can change the focus point of your image if you don't. Talking of focus, focus points cover a large area of the screen and can be manually selected. 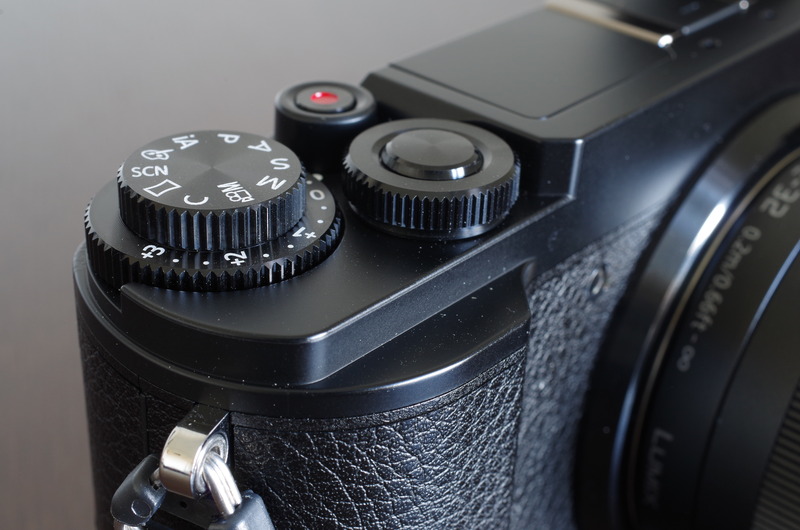 The exposure dial can be used to quickly change settings and there's a focus lever so you can change between AFS (AFF), AFC and manual focus without accessing the menu. 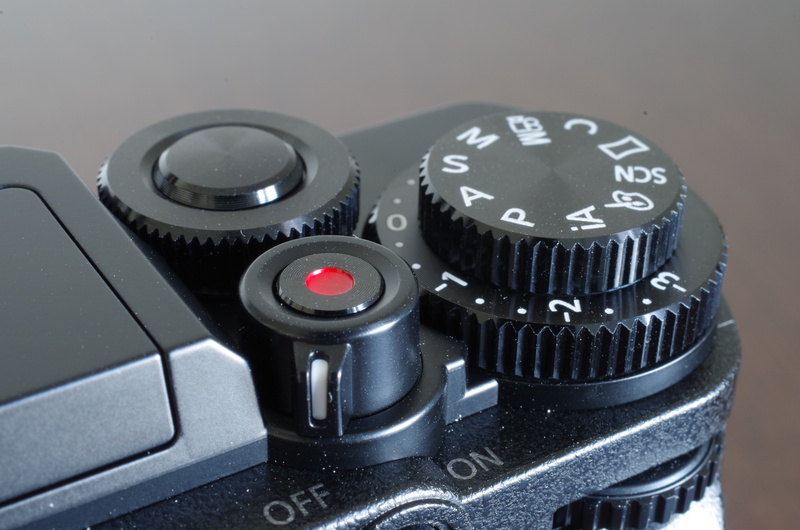 Those with keen eyes will notice that the video record button now sits on top of the on/off switch, making the design of the camera more compact. You'll also see that there are several function buttons that can be customised, with a total of 3 external function buttons, and 5 that can be assigned as touch-buttons on-screen. The camera has shutter speeds from 1/4000 to 60 seconds when using the mechanical shutter and 1/16000 to 1 second when the electronic shutter is in use. The camera also has a bulb mode that can take photos with an exposure up to 30 minutes long. Built-in flash makes a return to the GX9, something that was optional on the GX8, and there's also a hotshoe which you can add a flashgun to, should you so wish. The screen on the back is a tilting touch-screen which can be used to set the focus point, as well as other on-screen options. The screen is bright, clear and thanks to its articulation, makes the camera even more usable in awkward spaces. The brightness, contrast and saturation of the screen can be adjusted, which will help ensure you are seeing what you should be seeing when taking photos, which is particularly useful if you are using the screen to gauge correct exposure and something we found we had to do as at first, the screen was showing a much brighter image than what was captured. Screen brightness can be set to automatic so that the camera will automatically increase the brightness when using the camera outside. Menus – There are multiple menu options and settings, spread over several screens, with the camera displaying hints and tips for each option making it easier to use without having to refer to the manual. The menu system has the latest Panasonic menus, so icons are flat which makes them clearer and easier to read. You can use the 4-way controller on the back to go through the menus, or you can use the touch-screen. Built-in Wi-Fi allows you to remote control the camera, as well as transfer images to a smartphone or tablet. With low-power Bluetooth, it's possible to transfer images without the power drain of using Wi-Fi. Battery life - Battery life is rated at 900 images when using the power-saving LVF function, 260 when using the LCD and 250 when using the LVF without the power-saving mode. 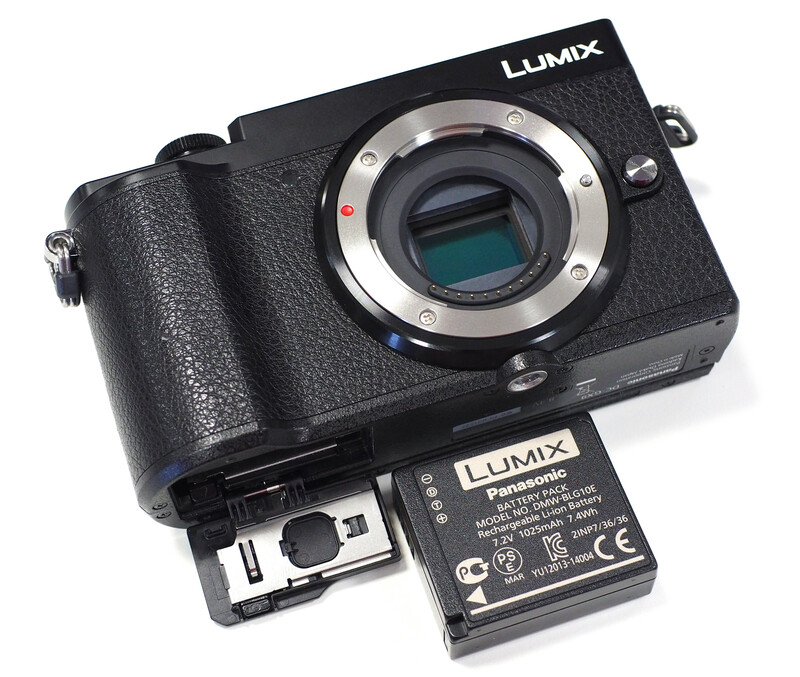 The camera uses the same battery as the Panasonic Lumix G80/G85, and the battery and memory card compartments are underneath the camera. In many ways it's a downgrade from the GX8. Lack of weather sealing and the smaller field sequential viewfinder certainly pitch it as a lower-end camera - I've also read elsewhere the optional grip is needed to improve balance and handling. I also like a swivel screen, but that's more a mater of taste than anything else. All in all this feels more like a repositioning of the GX line rather than an update to its predecessor. While there are a lot of nice little enhancements there's too much to miss from the GX8 for this to be any sort of viable direct replacement. In many ways it's a downgrade from the GX8. Lack of weather sealing and the smaller field sequential viewfinder certainly pitch it as a lower-end camera - I've also read elsewhere the optional grip is needed to improve balance and handling. I also like a swivel screen, but that's more a mater of taste than anything else. All in all this feels more like a repositioning of the GX line rather than an update to its predecessor. While there are a lot of nice little enhancements there's too much to miss from the GX8 for this to be any sort of viable direct replacement. I'm a fan of Panasonic cameras and own both the GX80 and GX8 so I was awaiting this new camera with much anticipation. I was expecting more of a G9 in a smaller body but this new GX9 is more of a GX90 than a GX9 - a definite upgrade to the GX80 but I wouldn't class it as an upgrade of the GX8. Perhaps Chris is correct a repositioning of the GX line. I've no doubt it is a good camera in its own right but for me - a pity because had it been a clear GX8 upgrade I certainly would have bought one. I'm a fan of Panasonic cameras and own both the GX80 and GX8 so I was awaiting this new camera with much anticipation. I was expecting more of a G9 in a smaller body but this new GX9 is more of a GX90 than a GX9 - a definite upgrade to the GX80 but I wouldn't class it as an upgrade of the GX8. Perhaps Chris is correct a repositioning of the GX line. I've no doubt it is a good camera in its own right but for me - a pity because had it been a clear GX8 upgrade I certainly would have bought one. When the GX8 came out it was criticised as not being an upgrade to the much loved GX7 but much bigger and represented a a new camera type. The GX9 is a clear upgrade to the GX7 and its successor the GX80. Panasonic has a pretty eccentric naming record - I suggested in one of my videos that they used a random number generator - but if you look at the range minus the GX8 it makes much more sense. GX9 smaller rangefinder style, G80 smaller DSLR style, G9 top line stills, GH5 top line hybrid, GH5S top line video. 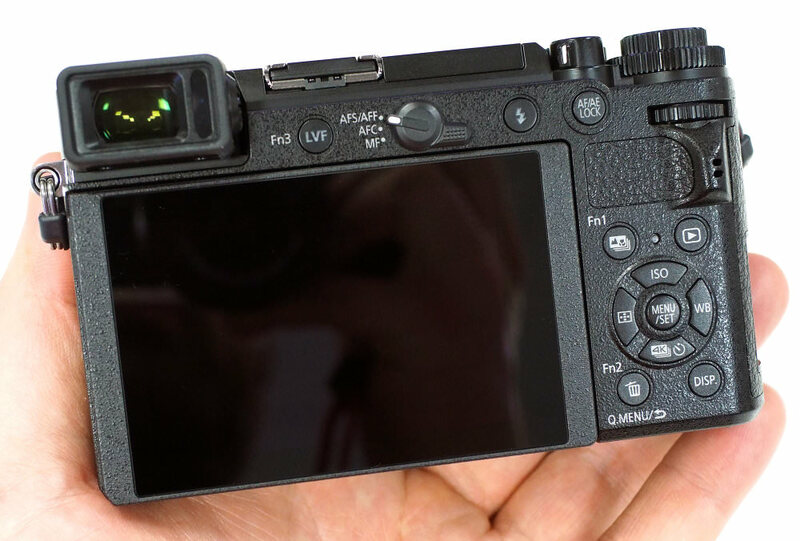 The GX8 doesn't really fit in there and given that Panasonic have so many cameras in their Micro Four Thirds range already it's a moot point whether they'll replace it. Some rationalisation is necessary - I get a mass of queries from people who can't sort put which is for what. Chris is right, I think it represents an effort to bring some logic to the range where the GX8 was basically nothing to do with the GX7. 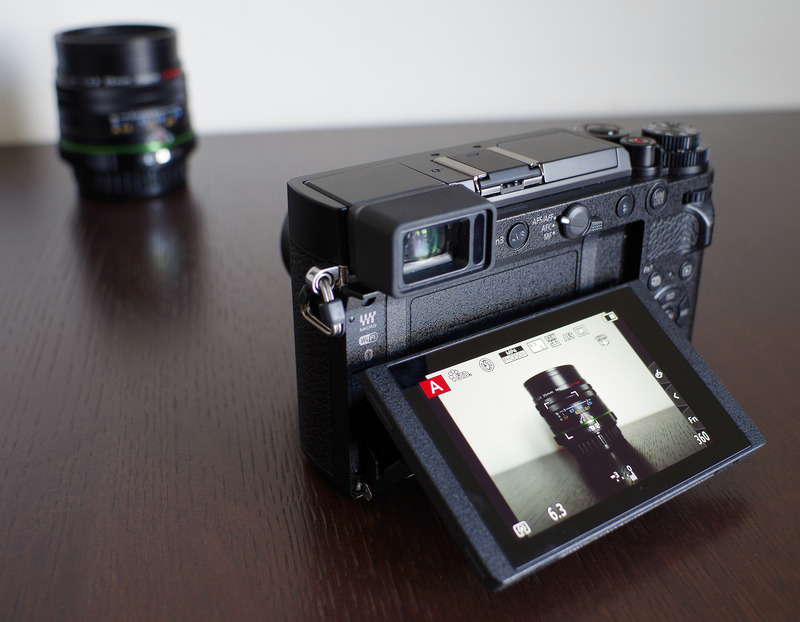 The Pen F would be a n alternative buy for otherwise GX8 buyers, less good AF performance all round but nicely made. When the GX8 came out it was criticised as not being an upgrade to the much loved GX7 but much bigger and represented a a new camera type. The GX9 is a clear upgrade to the GX7 and its successor the GX80. Panasonic has a pretty eccentric naming record - I suggested in one of my videos that they used a random number generator - but if you look at the range minus the GX8 it makes much more sense. GX9 smaller rangefinder style, G80 smaller DSLR style, G9 top line stills, GH5 top line hybrid, GH5S top line video. 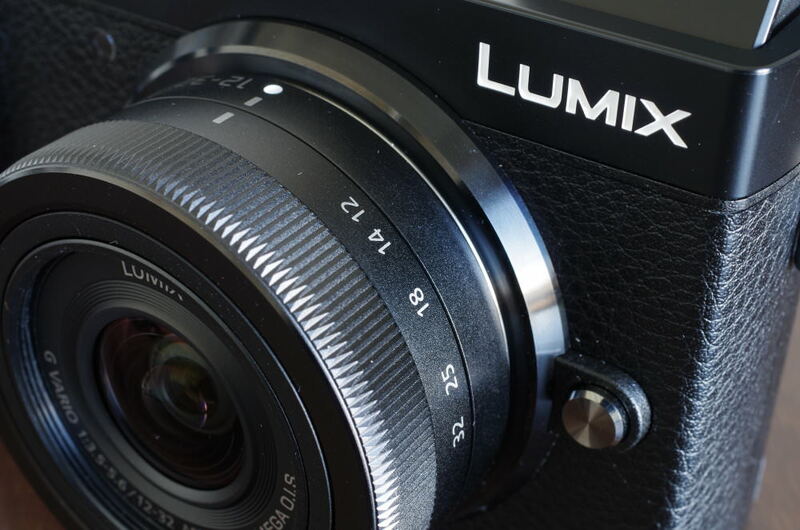 The GX8 doesn't really fit in there and given that Panasonic have so many cameras in their Micro Four Thirds range already it's a moot point whether they'll replace it. Some rationalisation is necessary - I get a mass of queries from people who can't sort put which is for what. Chris is right, I think it represents an effort to bring some logic to the range where the GX8 was basically nothing to do with the GX7. The Pen F would be a n alternative buy for otherwise GX8 buyers, less good AF performance all round but nicely made. If it had the EVF of the GX8 it would be much bigger, so then we'd say "I'd get this camera if it had the body size of the GX80"